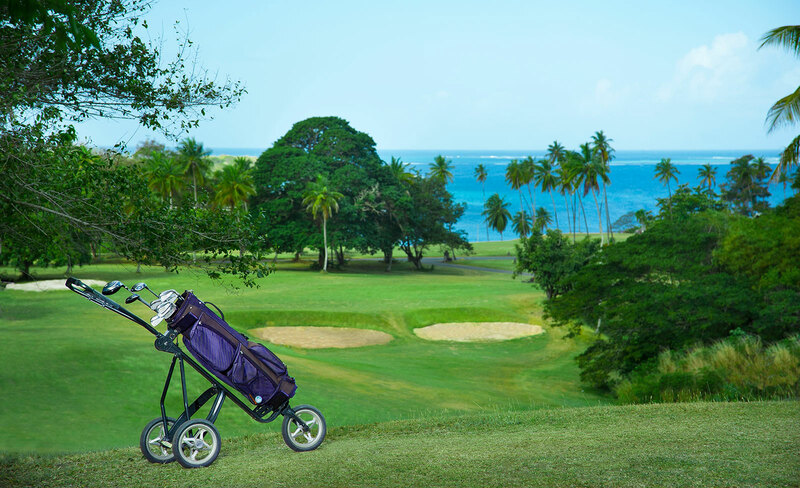 Although Tobago is a relatively small island, visiting golfers visiting are almost spoilt for choice as Tobago has two excellent and picturesque, but very different, 18-hole golf courses to choose from. 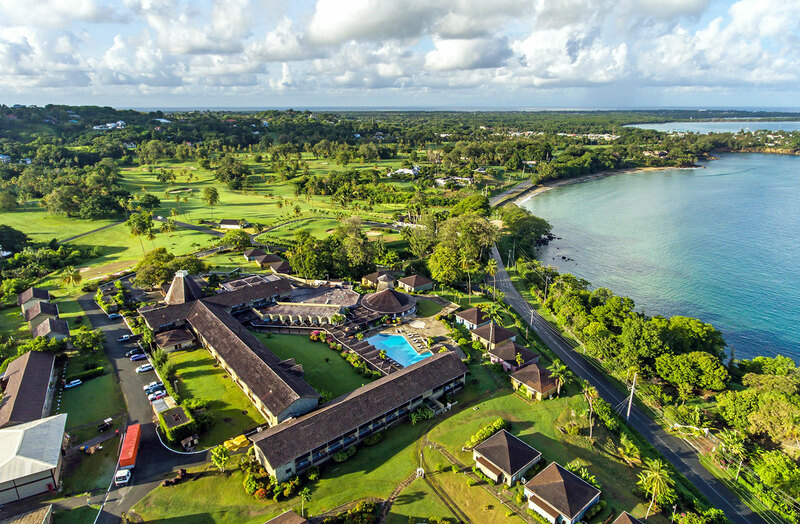 Both of the courses are located in the popular south-western tip of the island and are therefore just a short drive from every major hotel on the island. 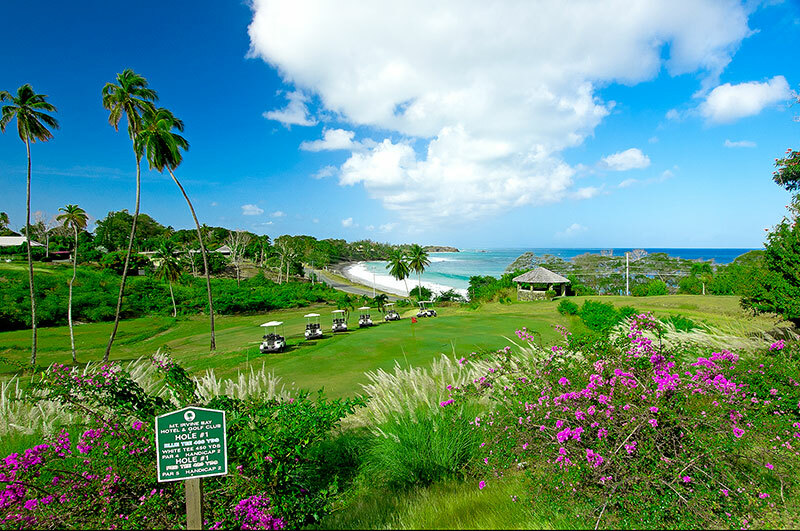 Similarly, every rental villa or guest house in region 1 (Crown Point), 2 (Lower Caribbean) and 6 (Scarborough) will be within a 5-10-minute drive of either golf course. 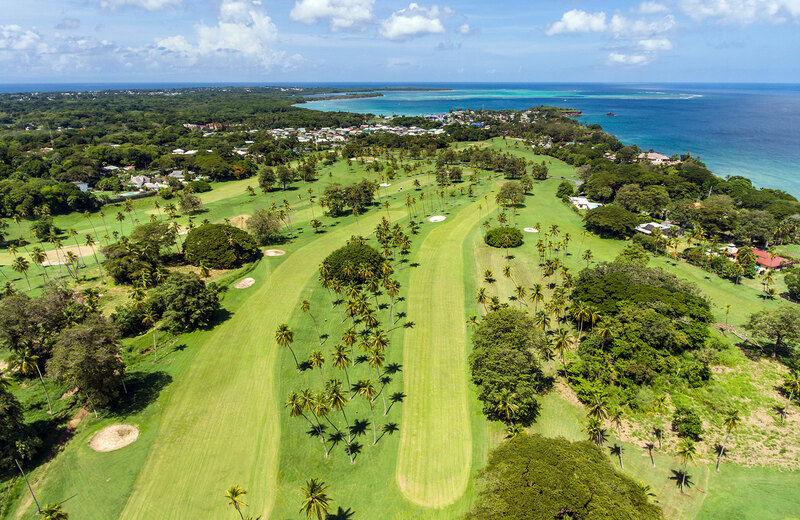 The Tobago Plantations Golf Club is part of the Magdalena Grand Beach & Golf Resort and located at the centre of the Tobago Plantations Estate, a gated community of luxury villas, condominiums and cottages. 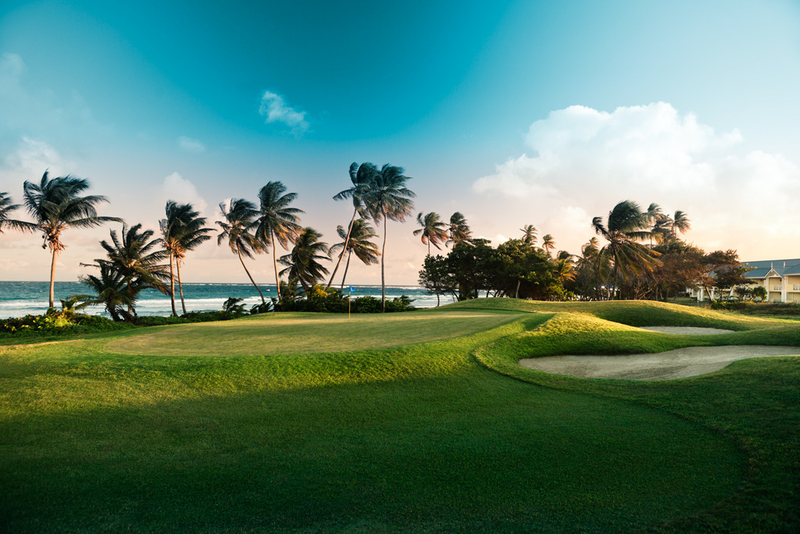 The Par-72 18-hole course was woven into the landscape of an old coconut plantation. The varied landscape includes lakes, woodland thickets, beach, mangroves and wild grass and provides every hole with a distinctive character. The course is a great test for golfers of all levels. 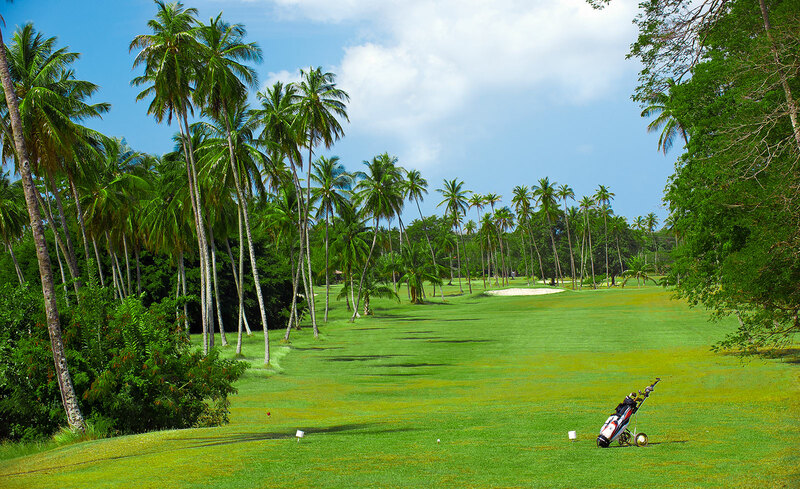 The Tobago Plantations Golf Course was PGA-designed to full Championship standards. The course opened in 2001 and was further upgraded in 2013. It was designed by Bob Hunt and Marcus Blackburn of PGA Golf Management Ltd., the design, development and management arm of the Professional Golfers' Association of Great Britain and Ireland. The course is a certified member of the "Audubon Co-operative Sanctuary System" which is one of the environmental programmes offered by Audubon International. In addition, the club has received certification for Environmental Planning. The driving range has 50 Bay Grass tees, pitching, chipping and bunker greens. There is also a large practice putting green. Facilities at the clubhouse include a bar, a pro shop, changing rooms and golf bag storage. Clubs and shoes are available for rental. 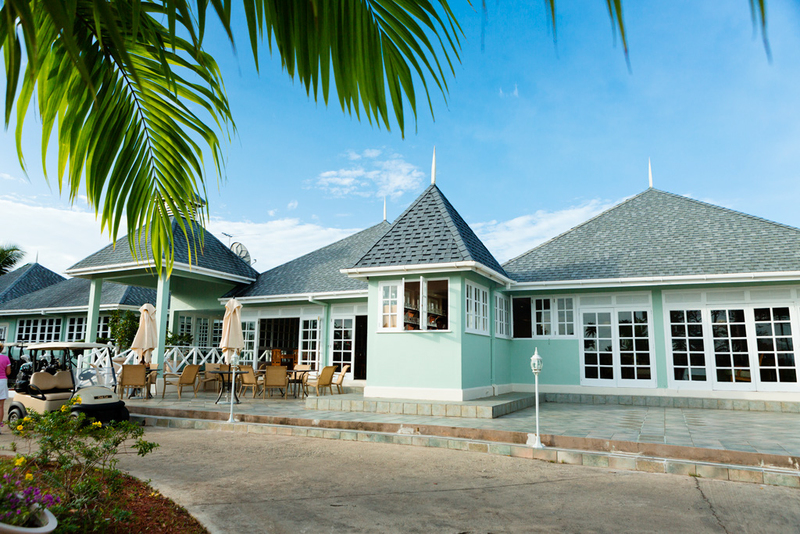 The Mount Irvine Bay Resort is one of Tobago's oldest and most established hotels. 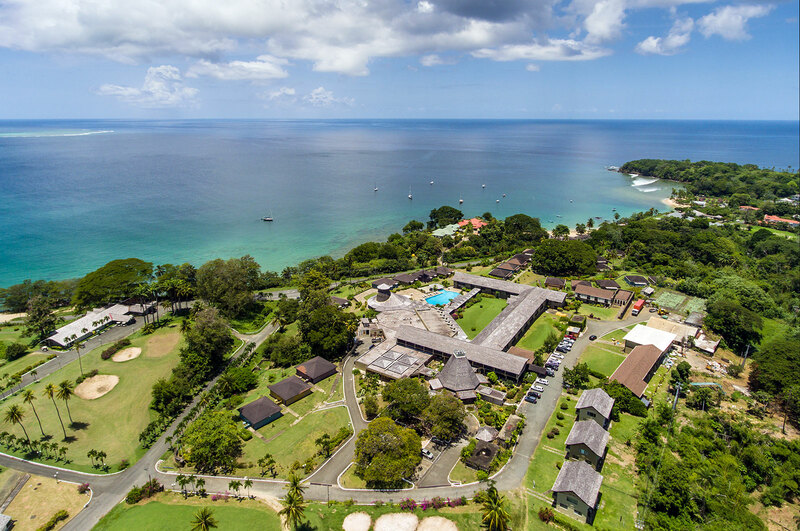 The 100 rooms and cottages of the hotel and its associated golf course were carved out of the gently rolling grounds of an old sugar and coconut estate on Tobago's lower Caribbean coast. The hotel (formerly known as the Mount Irvine Bay Hotel & Golf Club) and golf facilities recently benefitted from major investment and refurbishment. 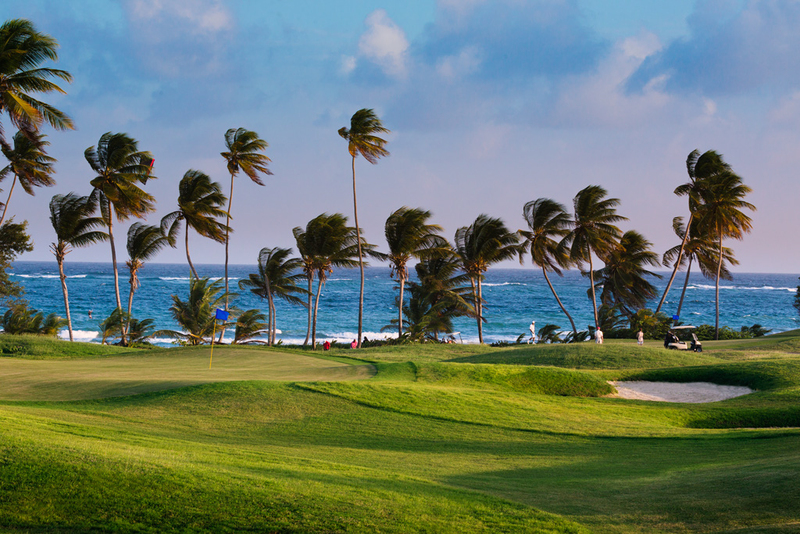 The award-winning championship quality 18-hole golf course was designed by Commander John Harris and has long been regarded as one of the finest in the Caribbean. The Par 72 course is 6,793 yards (6181.6 m) from the back tees and features five Par 5 holes (466-535 yds), eight Par 4 holes and five Par 3’s. The course has the unique feature of being one of the only golf courses in the world where you can see the sea from every hole. There is a club house and bar with golf carts and other equipment for rent. Full hotel facilities are available at the hotel, immediately adjacent to the club house. 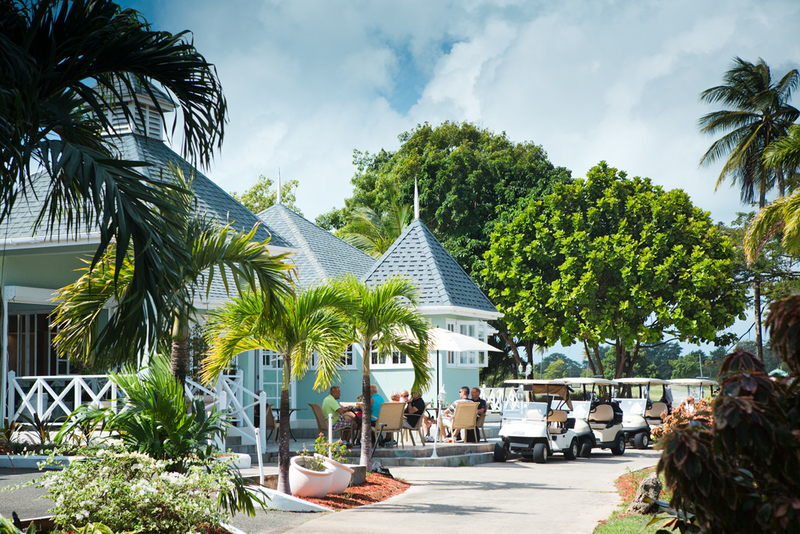 The Mount Irvine Bay Hotel & Golf Club, was voted the Caribbean Golf Resort of 1994 by Lifestyle & Travel Magazine in association with Travel Weekly magazine. 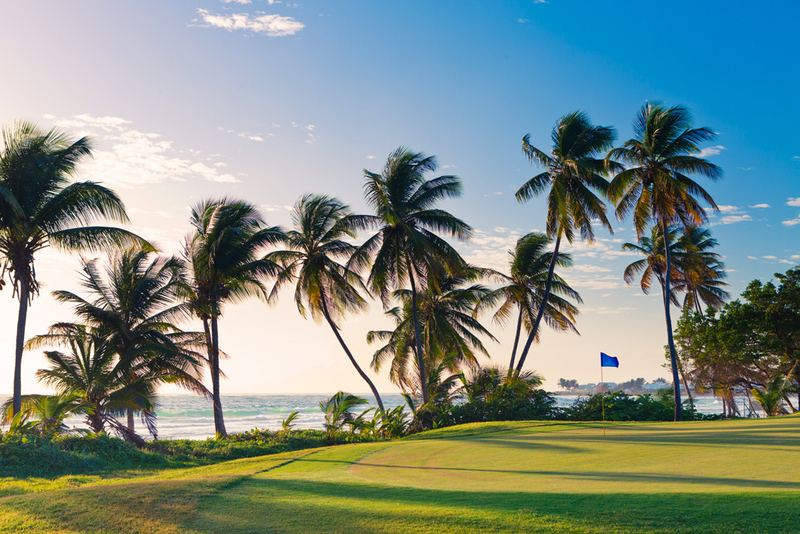 The course was selected in 1969 to host one of the tournaments in the film and TV series “Shell’s Wonderful World of Golf” and has also hosted the Johnnie Walker International Pro-Am. Since being re-branded the Mount Irvine Bay Resort, the hotel and Golf Club have continued to win awards. 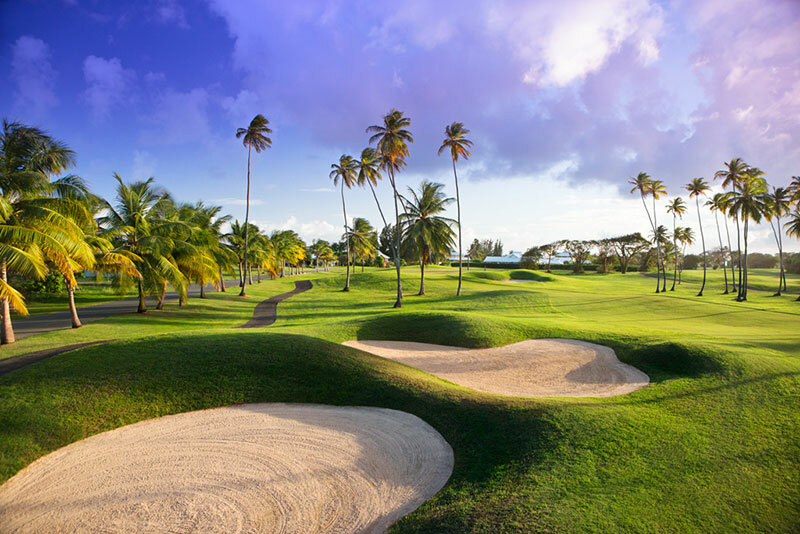 World Golf Awards named it the Best Golf Course in Trinidad and Tobago for three consecutive years - 2015, 2016 and 2017. 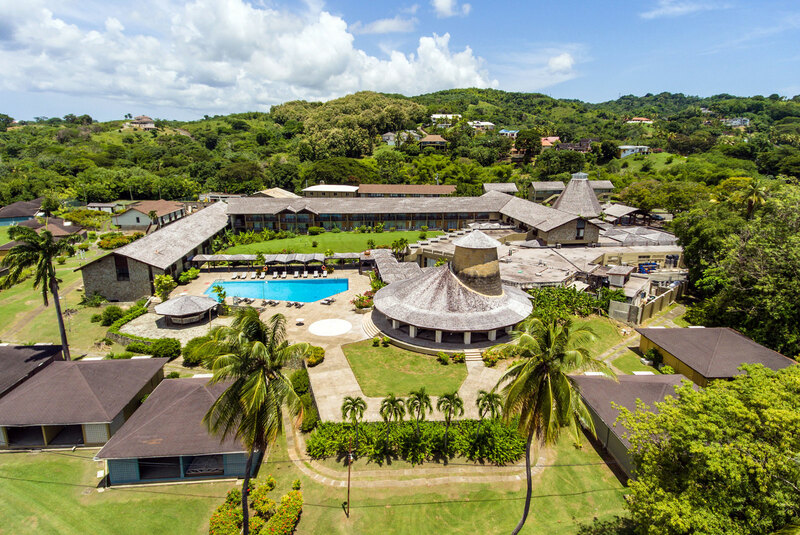 The hotel and golf club also won the 2017 trophies for Best Golf Hotel in Trinidad and Tobago, and the Best Golf Hotel in the Caribbean, beating eight regional contenders in this category. Tired of the beach? Looking for something a little bit different? Well, why not consider horseback riding? It's a romantic image that lots of travellers' experience, so why not indulge your dreams? What could be nicer than a gentle stroll or trot along the beach before plunging into the aquamarine waters and letting the surf wash away all your worldly cares. Experience is far from essential. 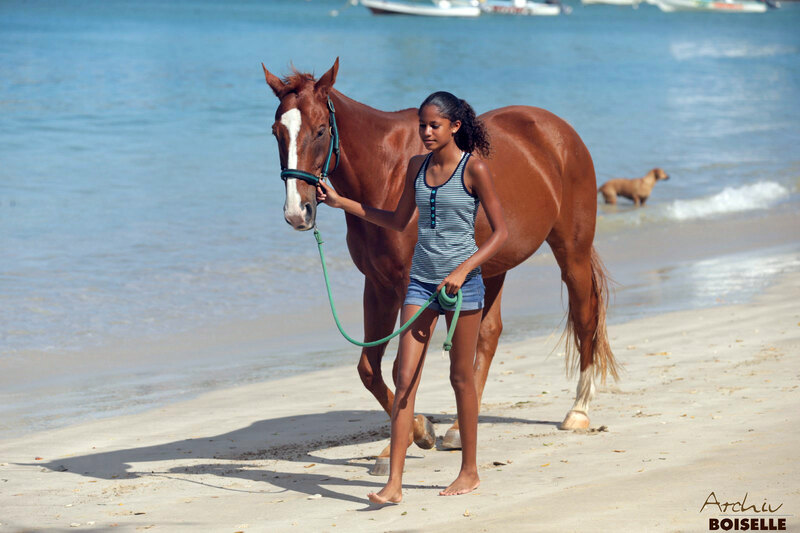 Born in Germany, Veronkia Danzer-La Fortune has many years of experience working and caring for horses, in both Europe and the USA. 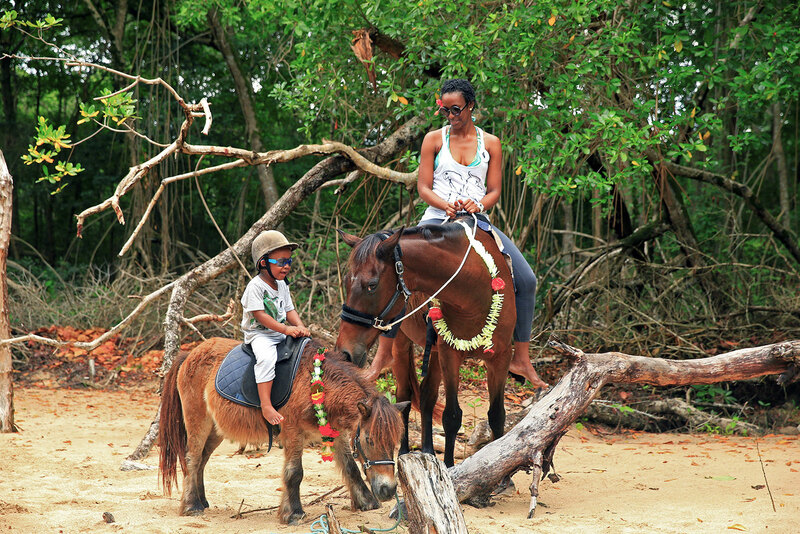 She moved to Tobago, with her Trinidadian husband, Lennon La Fortune, in 2006 with the ambition of offering free equine nature therapy to local children of varying physical ability. 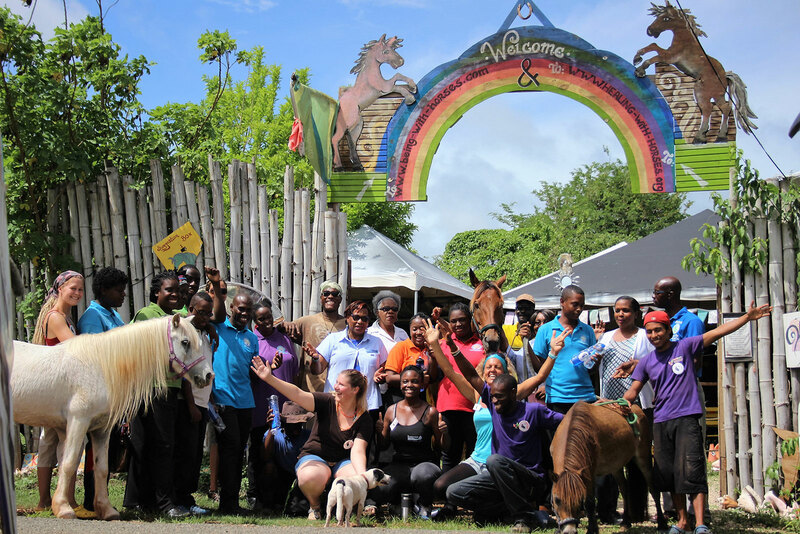 In 2010, Veronika set up the non-profit organisation Healing With Horses. 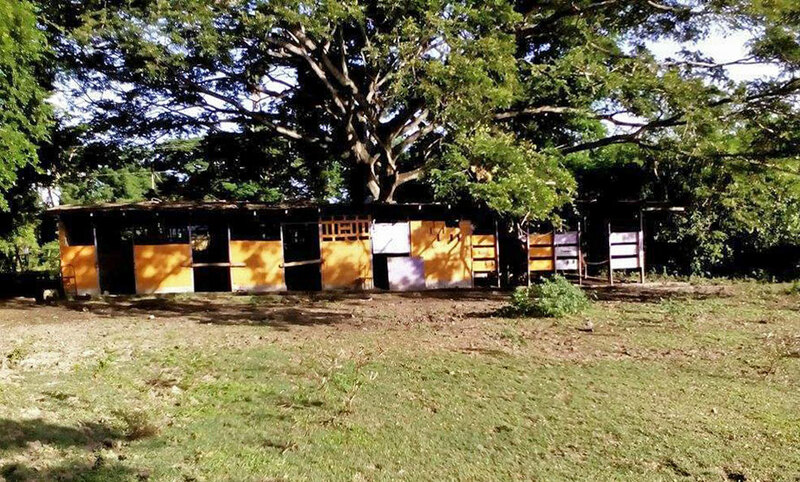 Their remarkable work has been hugely well-received and their facilities are now used by many schools and organisations in both Tobago and Trinidad. 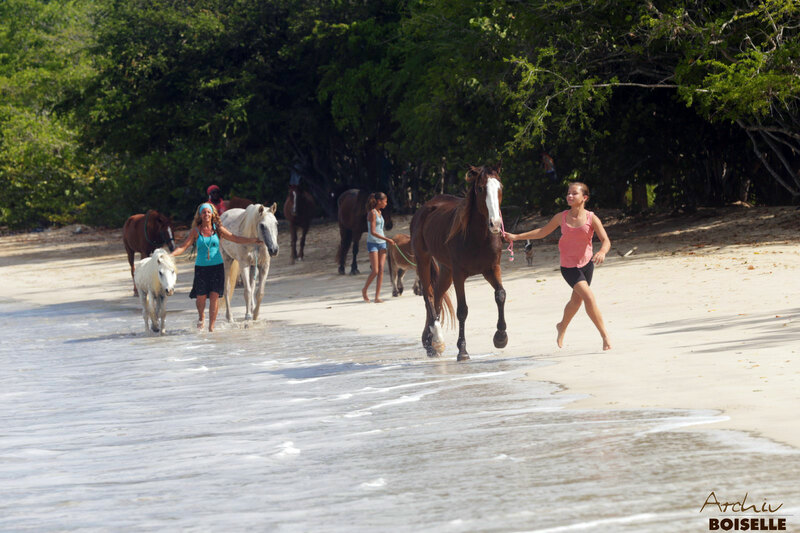 Being With Horses is the commercial side of the operation, intended to help finance the NGO by providing horseback riding tours to both locals and visitors to Tobago. We strongly recommend the services of this wonderful couple and ask all visitors to support their efforts. 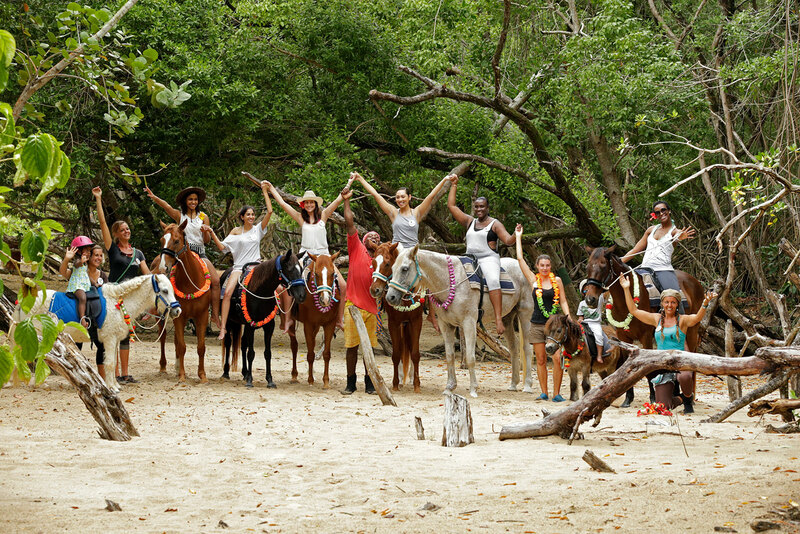 The Friendship Stables are located on an old sugar plantation, the Friendship Estate, on Tobago's southern Atlantic Coast. The stables established a reasonable reputation under the management of Louise Hearn, but she left Tobago in 2010. The owner, Derek Hearn, appears to have tried to re-open and revitalise the stables in 2012. Highly negative reports on the Internet were followed by a blitz of rave reviews. The rave reports appeared to be coming from the same computer IP address, so were voided on myTobago. We recommend that readers exercise an open mind when reading reports about this business and strongly advise an inspection of the stables and horses before booking. They were, of course, referring to Tobago. 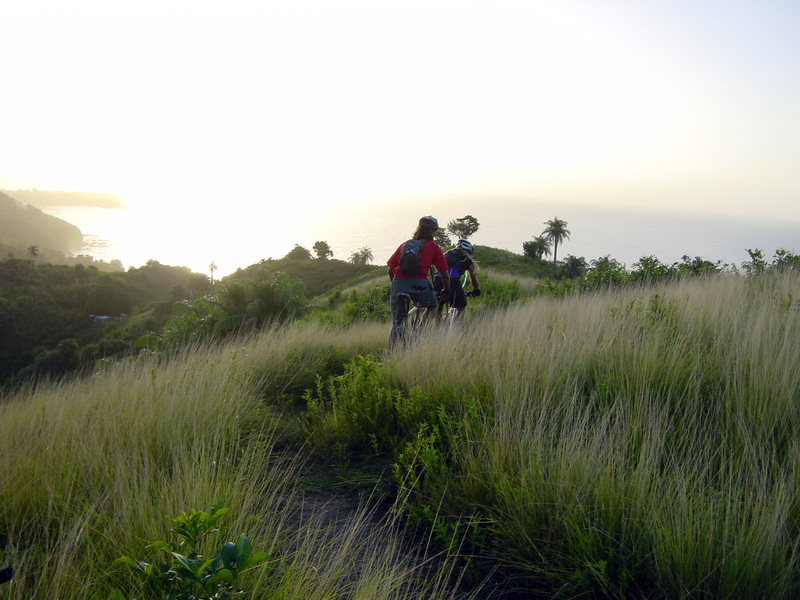 The island has lots of spectacular trails, many offering breath-taking ocean views. 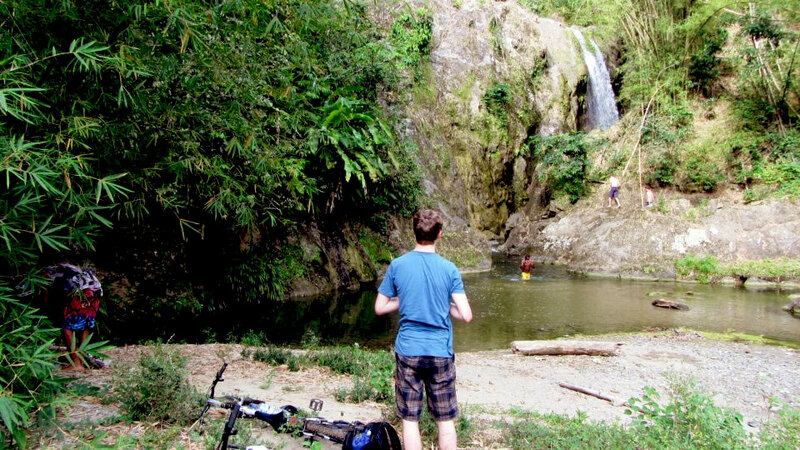 More than a few of these trails lead to isolated beaches and offer riders a welcome chance to take a cooling dip before heading onto the next leg. 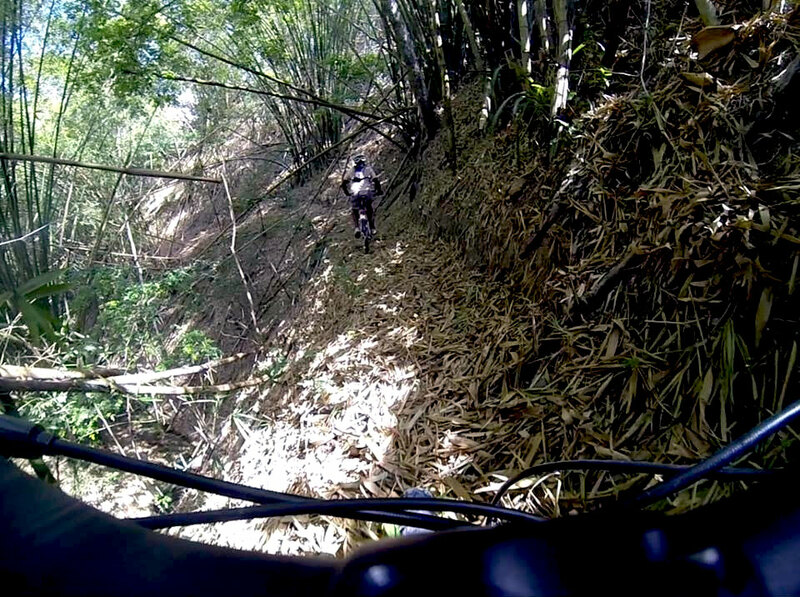 Steep climbs and exhilarating descents are the order of the day on more advanced trails. 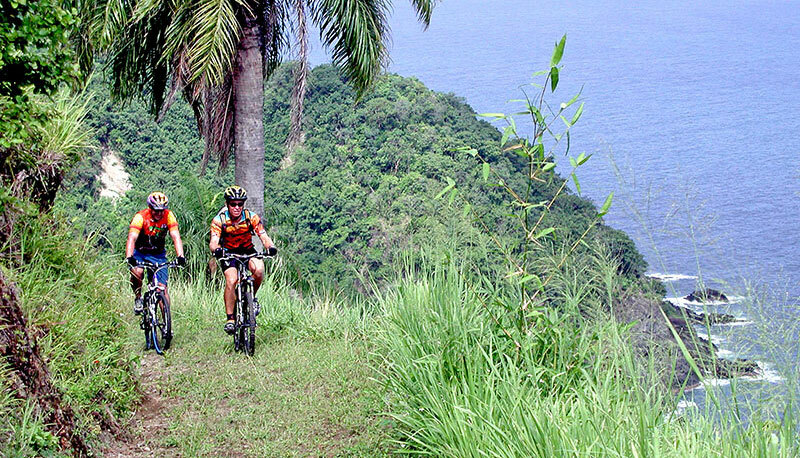 There are two mountain bike tour services on Tobago. The owners of both services are highly approachable and will plan a tour for you based upon your experience, skill levels and preferences. 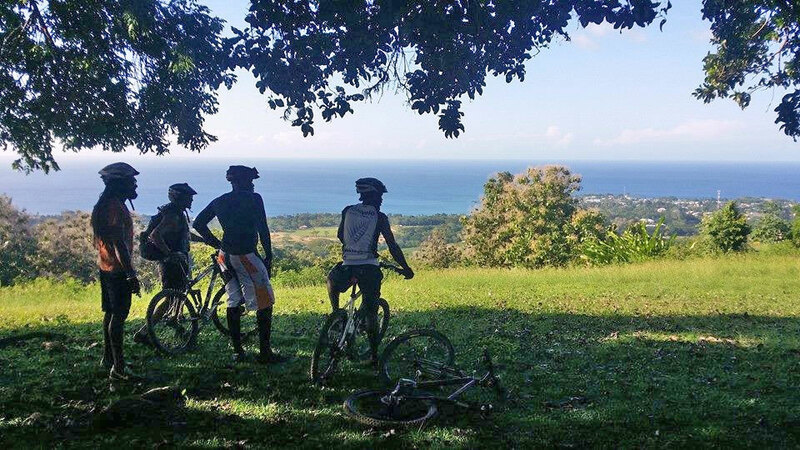 Tours for advanced riders in good physical shape generally start from the visitor's accommodation, allowing the opportunity to explore Tobago's quaint villages and meet locals along the way. Tours are normally designed to keep riders off the road as much as possible, using back roads and short trails to get to the main trails. 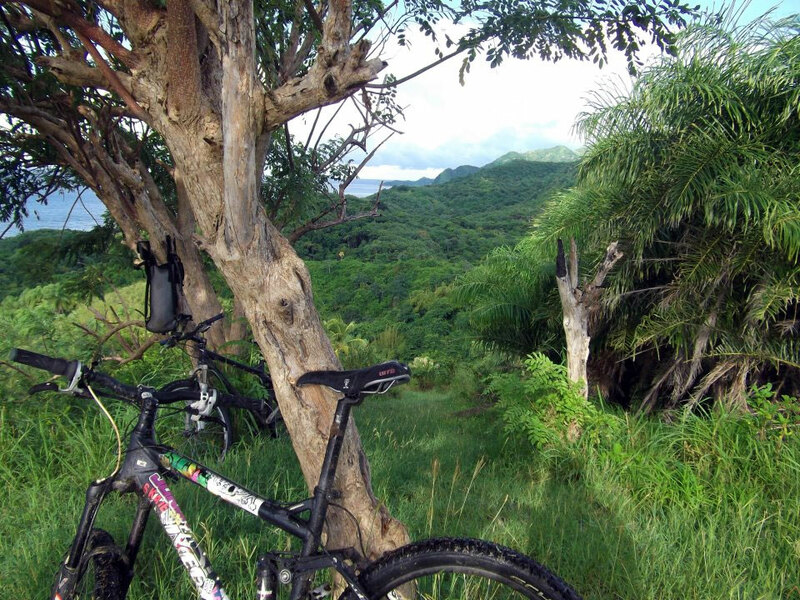 Whether you are a beginner to mountain biking or an experienced advanced rider looking for those exciting highly technical rides, you will not be disappointed. 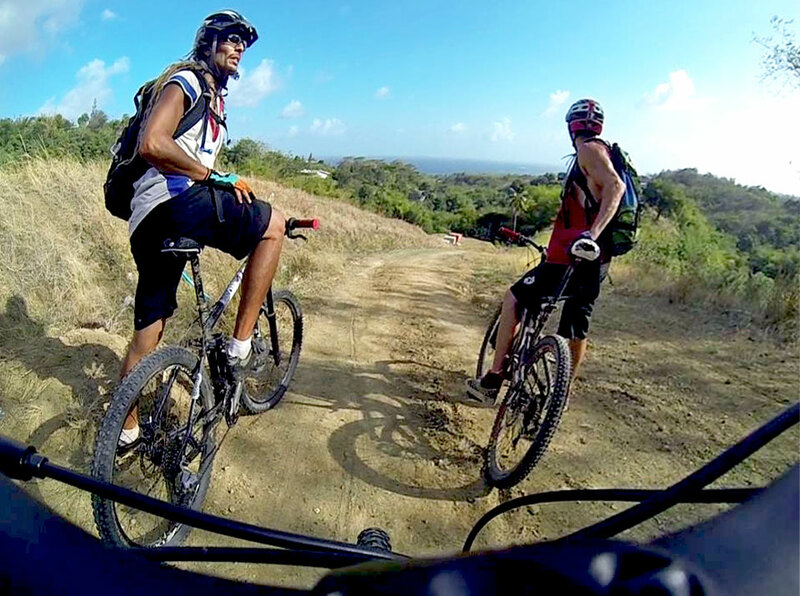 Mountain Biking Tobago is owned and managed by Trinidadian, Sean de Freitas. He is also known as the "Ice Man" because he also owns and manages an ice factory in Tobago. 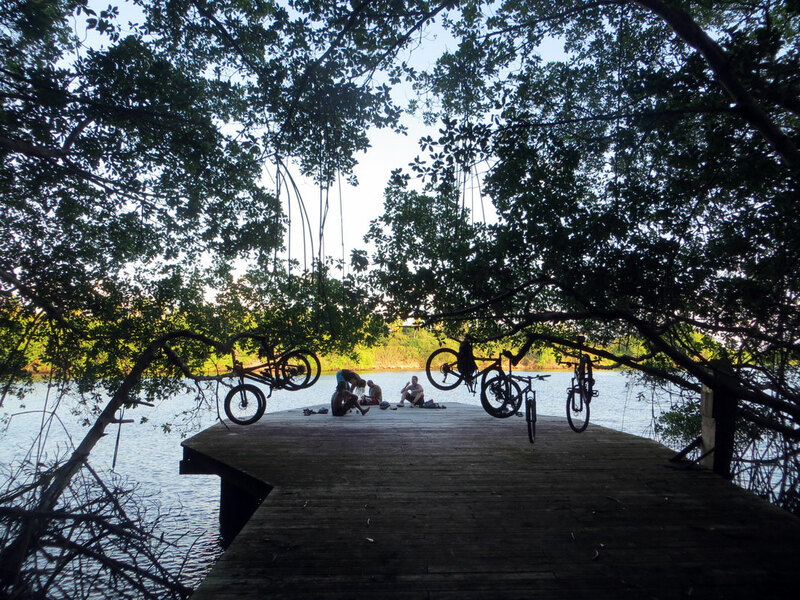 He has lived on the island for over 20 years and mountain biking became one of his favourite hobbies. 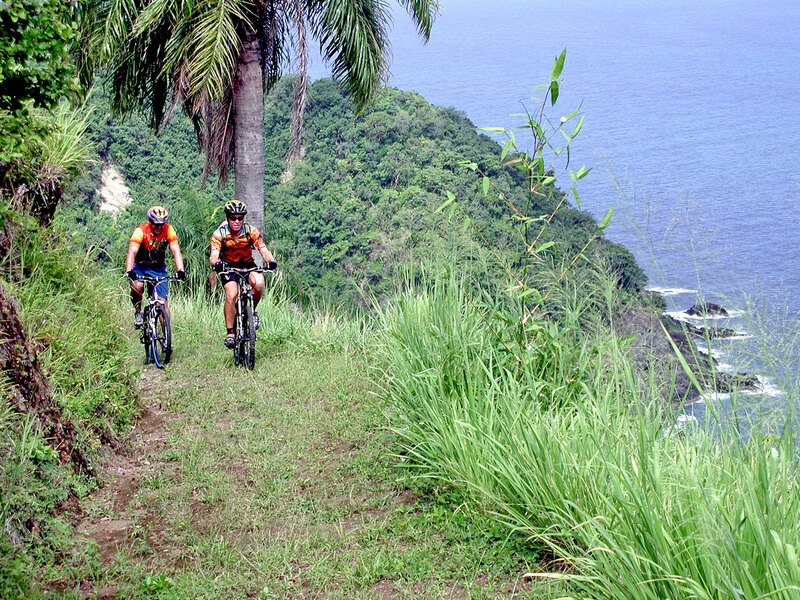 All trips include bikes, helmet, water bottle, and an experienced guide to show visitors around the trails. 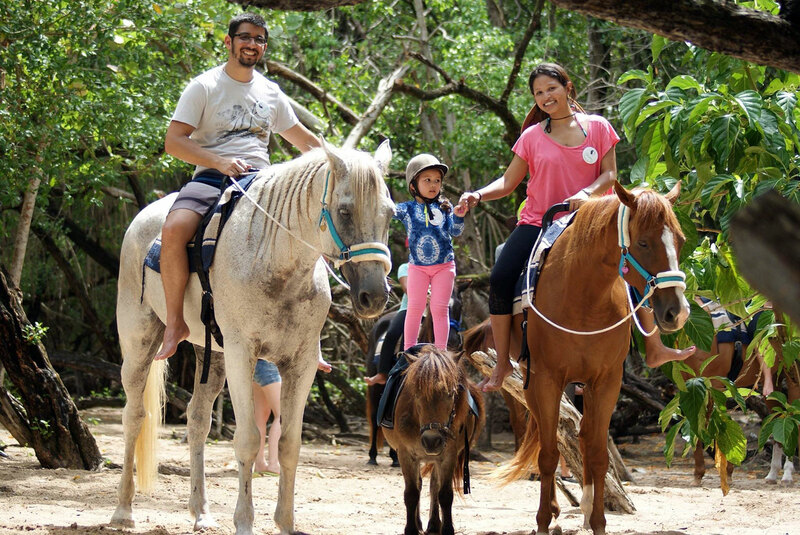 Tours normally commence from the public car park at the Mount Irvine Beach Facility but can start from the visitor's hotel or accommodation if the rider is experienced and in good physical shape. 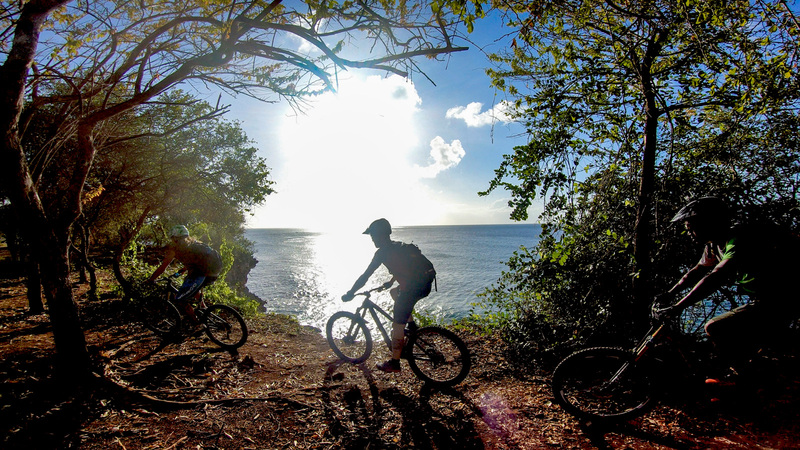 Tobago Mountain Bike Tours offer ecologically-minded tours to some of Tobago's most beautiful places, saying that customers will “look at the island through its cultural lenses, find out more about its turbulent history and enjoy the island’s less-known waterfalls and beaches. 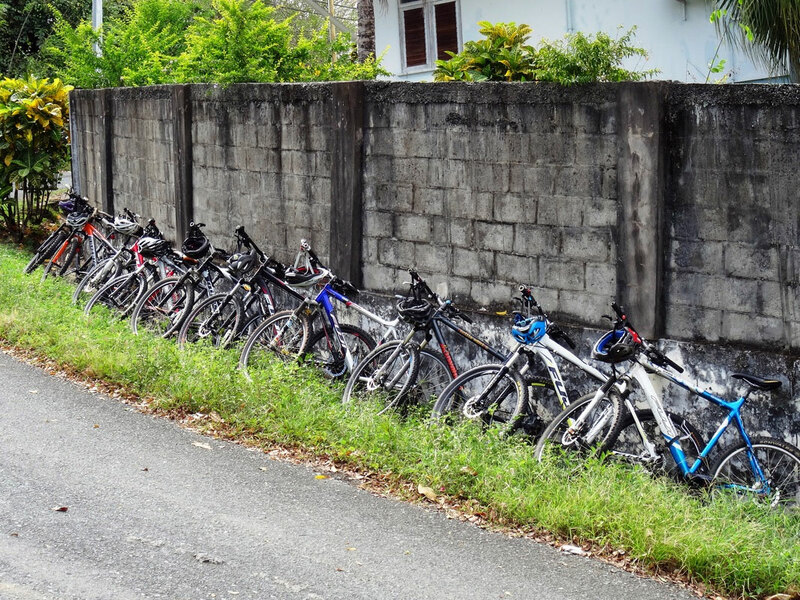 Tours include local seasonal fruits and juices, hot Doubles, local culture and, of course, all necessary biking gear. Owner, Eamon Healy-Singh, has been an honorary game warden since 1998 and has an in-depth knowledge of the local flora and fauna.